His Compassion is a Christian Art Sculpture that would make a wonderful addition to any church, office or home décor setting. It pictures the loving hands of the Savior cradling the most precious gift given by the Lord; a baby. 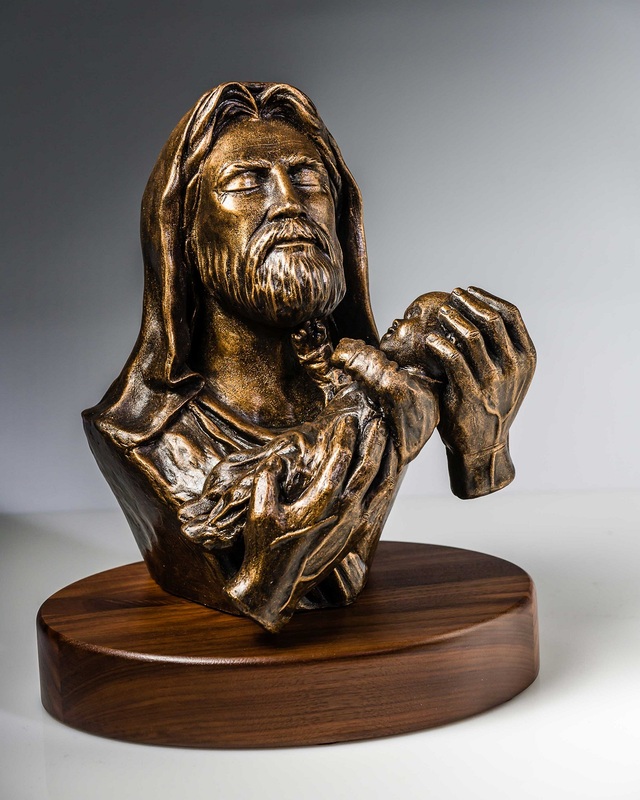 This highly detailed sculpture measures 10" high x 9" wide x 6" deep and includes a 3/4" custom walnut base. Double thick base (as shown) is available for an additional $15.00. A personalized nameplate can be added to the walnut base for an additional $10.00. Jeremiah 1:5, "Before I formed you in the womb I knew you, and before you were born I consecrated you"